Acorn Village only exists due to the families of children with learning disabilities determination to build a brighter future for their loved ones as they became adults. 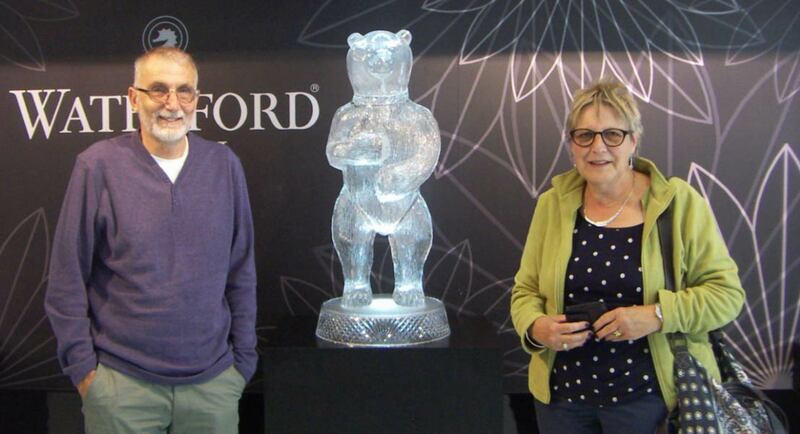 Acorn – A Community Of Real Need exists due to the determination of others to make a better life for those with learning disabilities whether it was the families who started the charity to the large amount of supporters helping throughout the years. 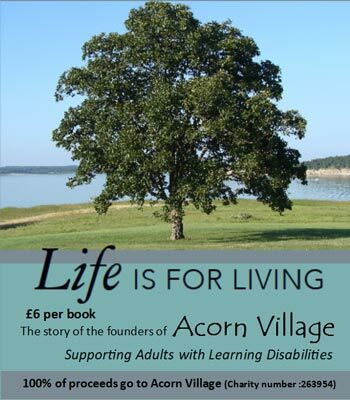 Previous CEO Ray Ablett & Previous Company Secretary Heather Ablett have co-written a book on the history of Acorn Village ‘Life is For Living’ with long term supporter Tony Tuckwell. Tony kindly raised the funds to have the book published and printed. These are available to purchase for £6.00 and can be found at Acorn Village, Honeycroft Post Office and Mistley Post Office. Ray & Heather also give talks on the history of Acorn and bring the books along with them. Contact us to book one of their interesting talks and discover the challenges that they faced during the creation and set up of Acorn Village. 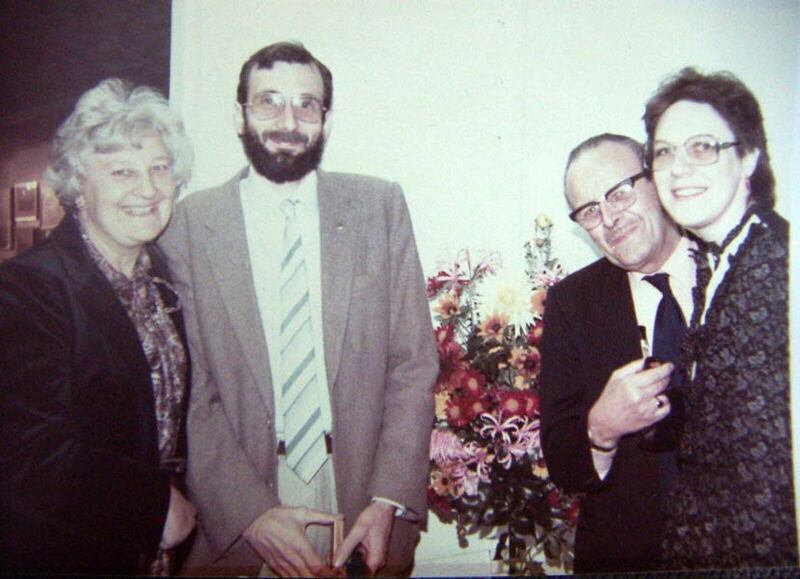 Ray and Heather with Denzil & Phyllis Mary Green, the Founders. 1972Denzil and Phyllis Green along with other Colchester families whose children had a learning disability became concerned about their long-term future and lack of opportunities. 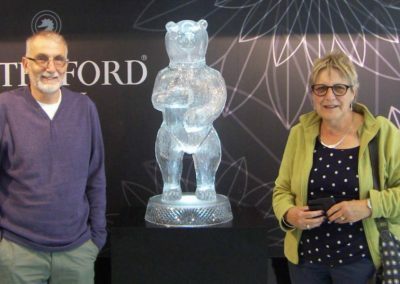 They developed an idea of establishing a village community where they could put into practice their own, more imaginative vision and achieve a better quality of life, for adults who have a learning disability. They launched a registered charity (registered charity number: 263954) called ‘Acorn Villages Ltd’. 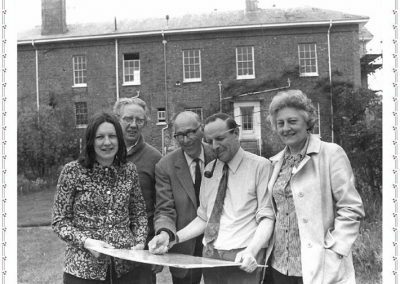 1973-75 Dedicated fundraising, donations and a bank loan along with the very kind Mrs Strover reducing the price of Mistley Hall by half enables them to purchase the derelict Georgian house set in six acres of land. Work is then underway to re-build; to reduce costs the families take on a lot of the work themselves even digging the sewer! 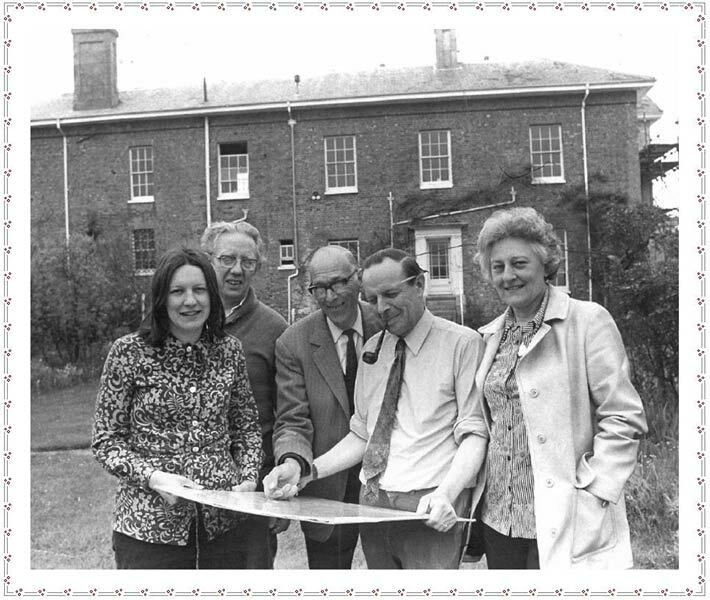 1975Acorn Village Community is born when it welcomes the first Villagers with the official opening of Mistley Hall changing the lives of 13 adults with learning disabilities. 1978Additional fundraising means Jubilee House, the first purpose-built Acorn house, was opened for a further eight people. 1981 3 more years of generous donations and Gregory House is built to provide homes for people who have complex and profound disabilities. 1987 ‘Acorns’ – our first Charity Shop run purely by volunteers opens in Manningtree High Street.1989-1992: Phyllis Mary Lodge is completed, providing a range of accommodation, from a house for five, a three bedded bungalow, a double and two single flats, for more independent Villagers. 1990Our second ‘Acorns’ Charity Shop run by volunteers opens in Brightlingsea. 1991-92More fundraising and two community houses are purchased. 1995More fundraising and the bungalow Oak Lodge was opened for eight adults enabling easier access avoiding the stairs of Mistley Hall. Mistley Hall became utilised for administration, staff training and as a Conference Centre. 1998A house in St Michaels Court, Manningtree was secured enabling off-site support for more adults with learning disabilities. 2000Thanks to more generous donations, Mistley Hall Cottage was refurbished to accommodate three more adults with learning disabilities. 2002More funds enabled the development of onsite Courtyard Cottage to accommodate an adult with learning disabilities within Acorn’s Supported Living Scheme. 2009Further donations allowed the refurbishment of the Coffee Shop to encourage community involvement and raise funds for the Charity. The Oakroom, a village hall, was also refurbished to provide a more useable space for both Acorn Village and to hire out to the community. 2014Through donations and legacies the Creative Craft and Therapeutic Centre was opened to provide a range of therapeutic day care opportunities. This would also be offered out externally to adults with a learning disability. It would provide an opportunity for creative expression and relaxation as well as a social hub to meet friends. 201540 years of Acorn! We celebrated with 40 fundraising events and the opening of the onsite Charity Shop where our residents and tenants help serving and restocking. 2016Thanks to donations, two flats were completely refurbished, specifically designed to better meet the tenant’s needs. This would ensure greater independence. The kitchen in Jubilee house was refurbished with specific areas for wheelchair preparation so everyone can get creative in the kitchen. 2017More support means more facilities, thanks to donations the residential houses are all given internet access opening up a world of opportunities from additional contact with family living abroad to booking activities. Through generous grants and legacies, a two bedroom flat was created on the top floor of Gregory House to provide additional supported housing for adults with learning disabilities. The Courtyard onsite flat was completely refurbished. We moved our Manningtree charity shop further along the High Street into the existing retail space below Trinity House offering more facilities for the volunteers and more space to fundraise in with a separate books, DVD’s and music section as well as regular pre-loved items. A new kitchen and external door was fitted in Oak Lodge as well as replacing a number of double glazed windows and doors across the site.